The BRG Group, Vietnam’s most dynamic owner and developer of world class golf courses, has announced the development of three new golf courses in the country. The new courses will be developed on sites in the north of Vietnam and in Danang. The developments form part of a multi-course agreement between the BRG Group and the Nicklaus Design Group, the world’s leading golf course design company. The BRG Group is the owner and operator of award-winning golf courses, which include Kings Island Golf Resort, BRG Ruby Tree Golf Resort, BRG Legend Hill Golf Resort and the BRG Golf Centre in Hanoi. 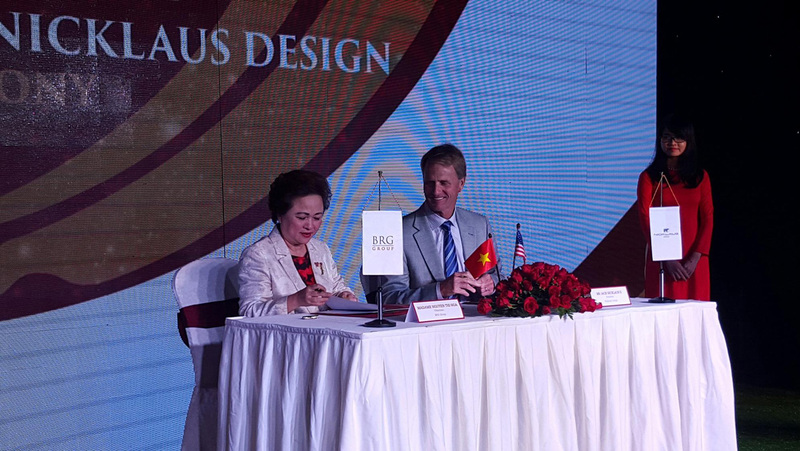 The BRG Group and Nicklaus Design joined forces in March 2016 with a shared goal to build a solid future for golf in Vietnam, and they will work together to bring the highest international golf standards to Vietnam. BRG Group has also signed an exclusive contract to open four Jack Nicklaus Academy of Golf facilities throughout Vietnam to strengthen golf development and professional skills training. Released by the Asia Pacific Golf Group.